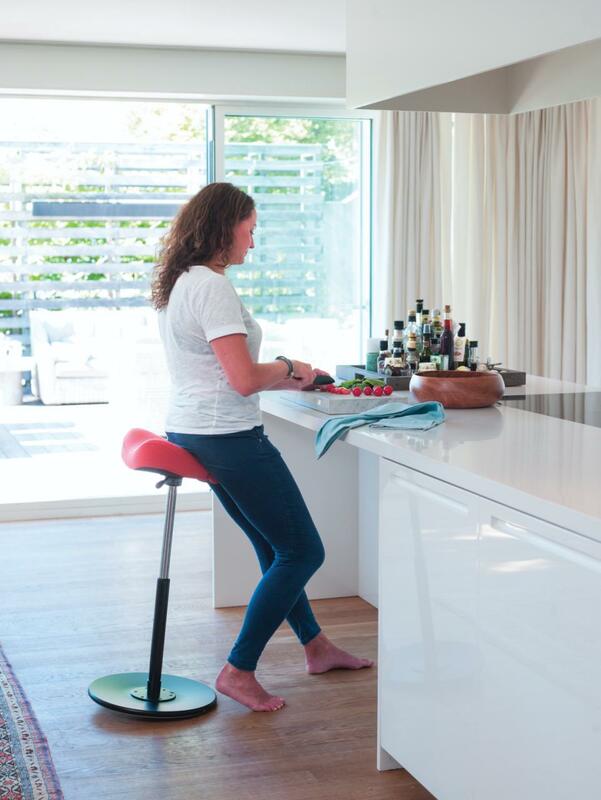 Not only does the Variér® Move Stool find the perfect balance of stability and movement, it's also fun to use! 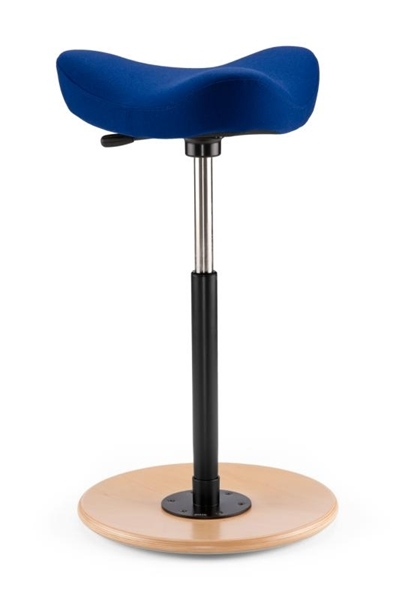 Dynamic standing support facilitates active movement in a unique half standing, half sitting position. A rounded base plate adapts your changing postures to keep you moving freely without the need to stand. 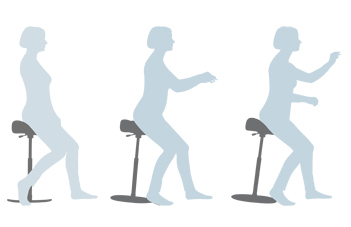 If you often work in standing postures, the Move Stool can reduce strain and increase your comfort. Recommended for architects, designers and other workers who often stand, but equally useful in the home at kitchen counters and work tables. 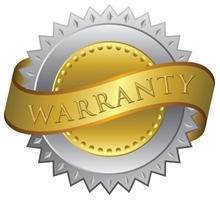 Used in reception areas, at sales counters, and for counter seating in cafes. Also recommended by therapists, coaches and educators for people who need sensory stimulation in order to focus, for example, children with autism, ADHD, sensory processing disorders and other sensory-related conditions. Rounded base plate adapts your changing postures, insuring free movement without the need to stand. 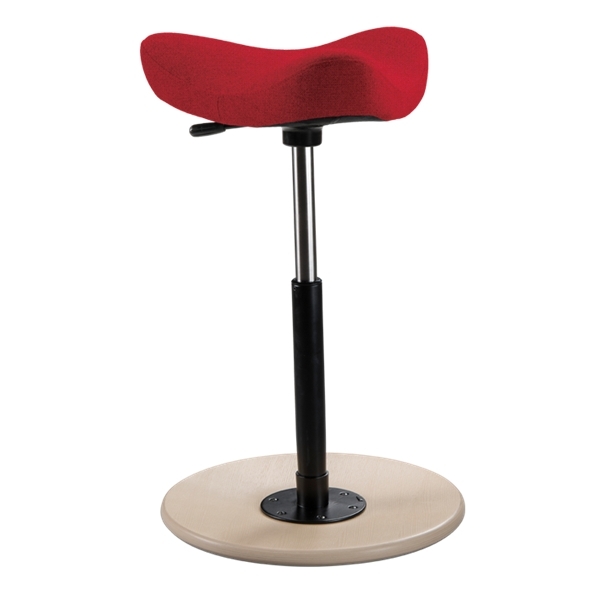 Comfortable, saddle-like seat is upholstered with furniture-quality polyurethane foam. Light weight for easy mobility. Optional rubber base (standard on the Move II) provides a solid grip on smooth hard-flooring surfaces and protects the floor from damage. 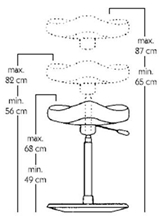 The following height recommendations are approximate and are based on the assumption that the Move Stool will be used as a standing aid rather than as a chair substitute. Medium 22"-32.3" 5'0" - 6'1"
Important! 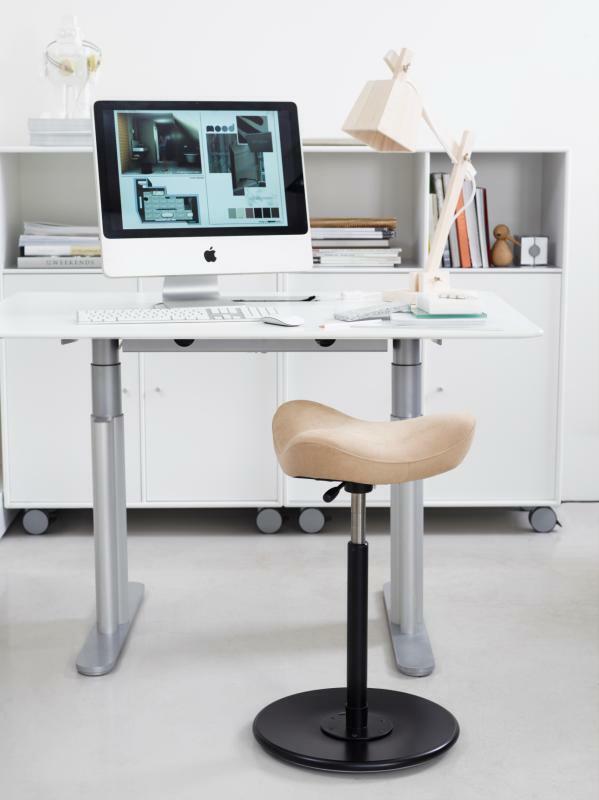 The Move Stool is a sit-stand perch. 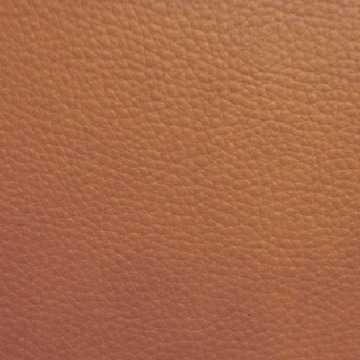 Not a chair. It supports healthy spinal alignment only when used in an open hip posture (e.g., > 130-degree hip angle). 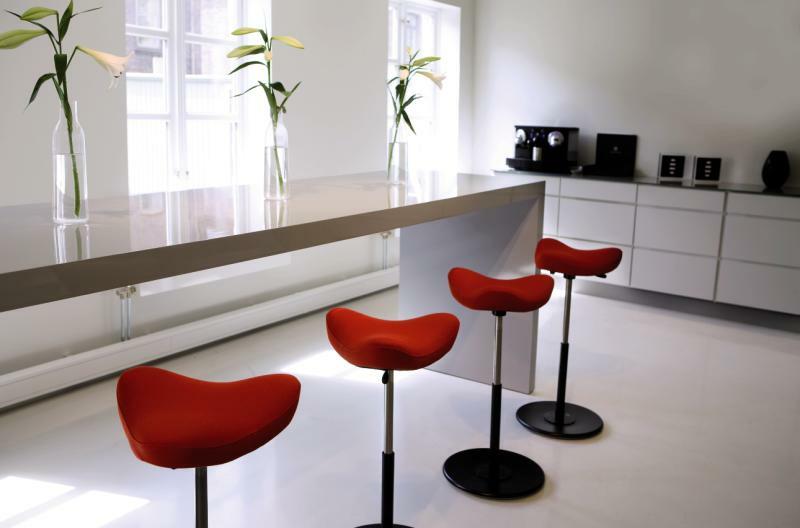 The manufacturer claims that the Move Stool can also be comfortably used at a conventional chair height. We simply disagree. Seat size Standard 15" Small 13" Small 13" Standard 15"
Box Dimensions 16" x 8" x 17" 16" x 8" x 17"